'High Five' is the fifth annual exhibition by Inkus printmakers, who join again with Susan Jones (tutor at Curwen Print Study Centre) to present new and exciting prints using traditional and innovative techniques, plus cards and hand-made books. Subjects range widely, including figurative work, landscapes, graphic designs and abstract images, and are given a variety of treatments, reflecting the several interests and interactions among the artists. 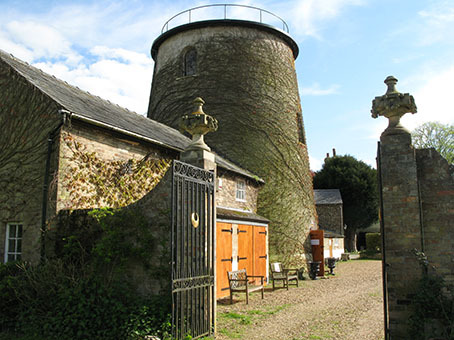 This selling exhibition will be held in the picturesque and spacious premises of WindmillArt, Long Lane, Linton, CB21 4NS, with an evening viewing from 6pm to 9pm on Thursday 12th Jun, and daily viewings from 11am to 5pm on Friday 13th Jun to Sunday 15th Jun. 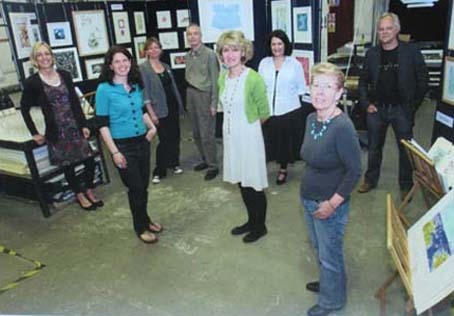 Inkus artists and Susan Jones (tutor at Curwen Print Study Centre) returned to WindmillArt, Linton, for their annual summer exhibition, from Sat 11th to Sun 19th May 2013. Among the many guests enjoying the preview on Fri 10th May, the historian and broadcaster Matthew Ward appreciated the art of printmaking flourishing in his neighbourhood, and tweeted his enthusiasm to thousands of followers. At the additional late night opening on 16th May, Tony White entertained on guitar as the attendees socialised with the artists. Diverse prints by Inkus lined the walls of the beautiful Michaelhouse Café in the heart of Cambridge for an exhibition from 24th Sep - 6th Oct 2012, and an evening viewing on 26th Sep. Customers of the café, as well as visitors to the exhibition, enjoyed the works, and made many favourable comments. Inkus artists and Susan Jones (tutor at Curwen Print Study Centre) held a popular exhibition of prints, cards, and hand-made books at WindmillArt, Linton, from Saturday 12th to Sunday 20th May 2012 with a preview on 11th May. In view of the high attendance at the preview and throughout the event, a late night opening was held on 17th May to give a further opportunity to socialise with the artists and discuss their work. 'In Ink' brought together a body of work by Inkus artists at Dunmow Art Gallery, Great Dunmow. The exhibition ran from Monday 10th to Saturday 29th January 2011, with a preview on Sunday 9th January. The Inkus printmakers held a private viewing of their works at Curwen Print Study Centre (CPSC) on 1st May 2010, after successfully completing their course in Advanced Printmaking Techniques. The course was tutored by Susan Jones MA, and the external assessors were Chloe Cheese RCA MA and Stanley Jones MBE. "You cannot fail to be impressed by the high standard of technical skills achieved in a relatively short period of time. All students have excelled and developed their skills hugely since the start of the course. We are delighted that they are going to continue as a group with us at CPSC." All seven artists were on hand to explain their work and the printmaking techniques that they used.